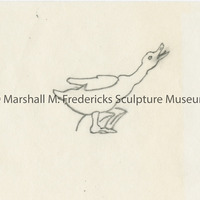 Ugly Duckling from "Nordic Swan and the Ugly Ducking: Hans Christian Andersen Fountain" Danish Village, Rochester Hills, Michigan, Edward Laird, Landscape Architect. 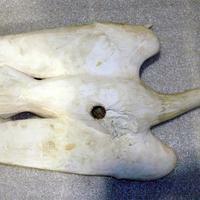 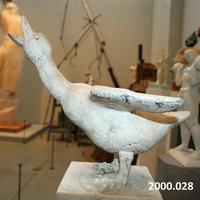 Plaster model of Duckling from Norwegian Swan and Ugly Duckling. 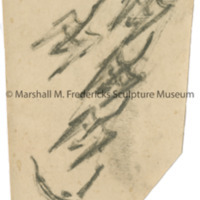 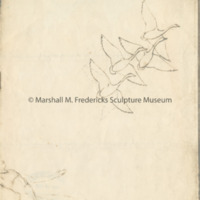 Sketch for "Indian and Wild Swans"
Study for "Indian and Wild Swans"
Plaster small-scale swan that the Night figure rests upon. 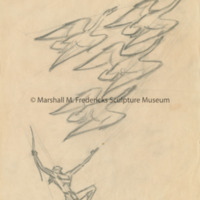 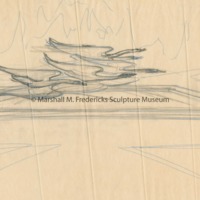 Sketch for "Five Nordic Swans Fountain"
Architectural drawings for the Henry and Edsel Ford Auditorium include a proposal, c. 1956, for a Tracy W. McGregor Memorial Fountain that incorporates this design; a revised version was proposed for Shain Park in Birmingham, Michigan, c. 1960. 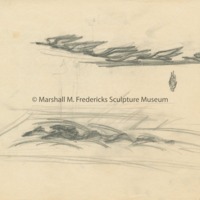 Neither project was ever realized. 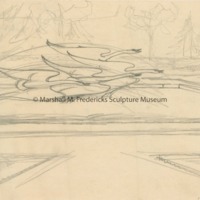 Sketches for "Five Nordic Swans Fountain"